MBW’s World’s Greatest Managers series profiles the best artist managers in the global business. 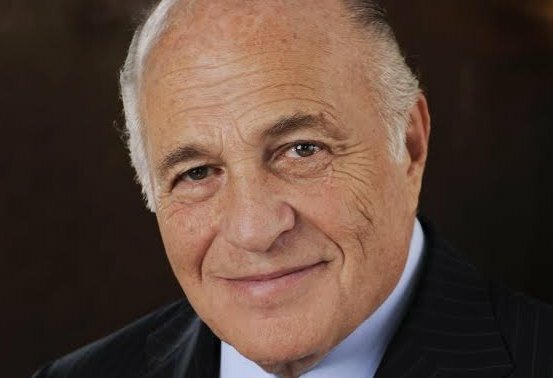 This time, we feature Ken Levitan, founder of Vector Management and the man who looks after Kings Of Leon, alongside a handful of other world-beating artists. The World’s Greatest Managers is supported by Centtrip Music, the currency exchange specialist which helps artists, managers and music businesses obtain an optimum currency exchange deal. Born in New York, educated in Nashville; trained as a lawyer, destined to be a manager, Ken Levitan, founder of Vector Management, is not keen on lanes or silos. His enthusiasm and vision is broad and without boundaries, as well as, when it comes to his clients, laser-focused and without compromise. During a career that stretches back over 25 years, he has guided the careers of artists ranging from Emmylou Harris to Kings of Leon; Kid Rock to Richard Thompson. What do you remember about discovering music way back when? I think it goes back to the first time I heard The Beatles, when I was six or seven years old. I managed to talk my mother into getting those early Vee-Jay Records [the Chicago label distributed the group’s early singles]. I was very lucky, I grew up in a home where there was a lot of music and arts. 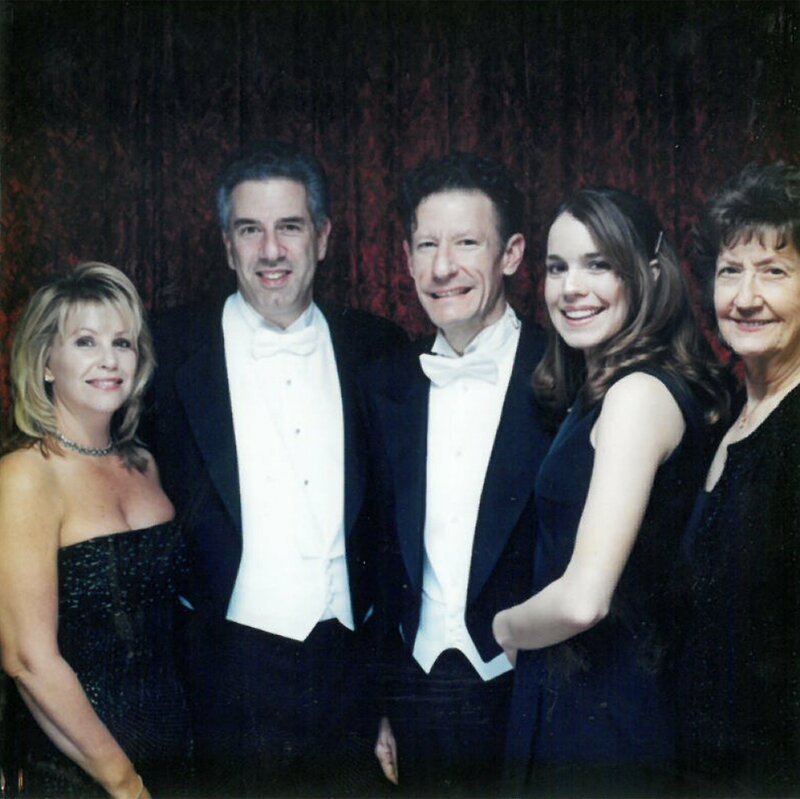 My father was a surgeon, but he also loved music, the theatre and film. Did you take a lot of influence from your father, in terms of his attitude to life? Yeah, he was a guy who thought you could do whatever you wanted to do if you were just persistent. He was a surgeon, but he also managed some singers, he made some movies, did a number of things: whatever you want to do, you can do it; just put your mind to it, be prepared and go for it. When did you start doing things yourself? I went to Vanderbilt University [Nashville], which had an amazing concert programme, which I ran for a couple of years. We promoted about 70 shows in that time, everyone from Genesis to Stephen Stills to Carole King to Jimmy Buffet, on and on and on. Was there a summer in London around this time as well? You’ve done your research! Yes, I worked for Shearson doing commodity contracts for a summer. It was a great time to explore, the whole punk thing was pretty vibrant back them. I then took a year off after college (and before law school). I did an internship at Chappell Music in LA. And then I heard there was an opening at a booking agency in Nashville, so I drove back across the country in two days and got the job as an agent at Buddy Lee Attractions, who at the time handled people like Willie Nelson and Jerry Lee Lewis. That’s where I got my feet wet as a booking agent. My very first weekend there I saw Willie Nelson, Asleep at The Wheel, Guy Clark, Jerry Jeff Walker, John Hiatt, Charlie Daniels, Sonny Terry and Brownie McGhee. I fell in love with the city. Oh, I saw The Faces that first week as well, it was a great introduction to Nashville. I tell everybody I have dual citizenship: I’m at home in Nashville and I’m still very much a New Yorker. After that year off I went to study law in Dayton, Ohio, and I would work at Buddy Lee during the summers. Buddy Lee was very good to me. Did you then leave law school to join a practice? No, I hung a shingle straight out of law school. Only I didn’t have any clients. So I went and found music I liked and shopped record deals; hung out in bars late at night looking for musicians as clients. Lyle Lovett, he would sleep on my couch. Nanci Griffith, when she was just starting out. John Hiatt was an early client. Rodney Crowell and Rosanne Cash were clients. And this is just legal work, not management at this stage? Energy! Plus, some of them didn’t have much going on at the time. I liked their music a lot and promised I would work hard for them. When did the idea of management come about? A number of people had asked me to manage them, and I actually found a building I wanted to buy down the block from my law practice. So I bought the building and was able to keep the two ventures separate, with different staff in each. So that was the start of Vector? What was the size and state of the company at that point, when you decided to get out of law and dedicate yourself to Vector? There were maybe four or five of us. We had a small roster, we had Nanci Griffith, and a band called New Grass Revival – Sam Bush came out of it, Bela Fleck came out of it; they were kind of a precursor to the jam bands. And then a country singer named Steve Warner. I signed all three of those in the first couple of weeks and it grew from there. It grew to include Lyle Lovett, Los Lobos and a number of other acts. What do you think were the signings or successes that moved you up a few notches? Lyle Lovett, who I’d worked with as his lawyer and then manager. And Nanci who became very big in the UK and Ireland. How did you mark yourselves out as you were growing? What did you want to establish as ‘the Vector difference’? Artistic integrity. As a lawyer I always fought very hard for the artist and as a manager I did the same thing. To me it was always about integrity – and in being innovative in what we were doing. How did your move into labels come about? Doug Morris (pictured inset) convinced me to start Rising Tide Nashville. When he talked to me, he said, we’re going to start a really cool independent company, we were never going to go inside [one of the majors], we would grow this company independently. Being the entrepreneur that I am, and given the fact that I wanted to learn more about the label side, that was very appealing to me. So I started the Nashville division of the company with Doug, and literally within the month, he took the job with Universal. They had a number of Nashville labels already, so it was like, okay, we’re screwed. But I had a long-term deal, so I put my head down and we built it from scratch. We had a Top 5 country record, a successful Dolly Parton record and a No.1 blues record. We also had a number one gospel record with the soundtrack for The Apostle, for which we won a Grammy. Then, within about 18 months, Doug merged Polygram and Universal and then they really did have too many labels here in Nashville, maybe eight or nine, so they closed most of them. They went down to two. We were the youngest label, so we were gone. But that was okay by me. I’d learned the label side, but I’d missed the management side. So I went back into management and a good number of clients came back. Lyle, for instance, came back the day I re-opened and John Hiatt returned right away, also. That’s when Vector in its current incarnation really started. At that time there was a lot of consolidation going on, which meant there were a lot of good people on the street, so to speak. A lot of mid-level employees had been let go, so we started hiring, expanding the company based around providing services that most management companies did not – that was 1998. And this is around the time that Kings Of Leon come into the story and into your life? 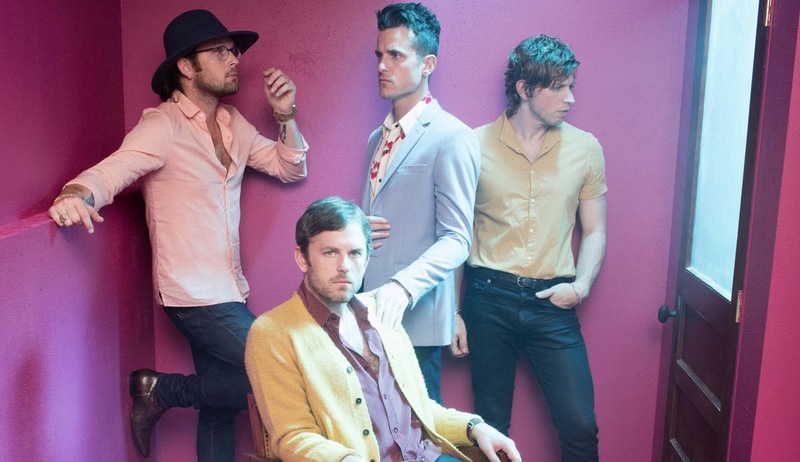 That’s right, although they weren’t the Kings of Leon at the time, it was just Caleb and Nathan [Followill, the brothers who founded the band, along with third brother, Jared, and cousin Matthew], they walked into my office and sang a cappella and there was just something really special there. They hadn’t written much, and they didn’t really play any instruments, so we signed them to a publishing deal and started to develop them as writers. We’ve been working together now 20 years and they’ve been a big part of our growth. We built a very eclectic roster: Kings of Leon, Kid Rock, Bon Jovi, Kesha, Lynyrd Skynyrd, Peter Frampton, Michael McDonald, Hank Williams Jr and Emmylou Harris. I’ve worked with Emmylou and the Kings for 20 years, Lynryd Skynryd for nearly 20 years and Hank Jr for a long time. We also have a good deal of younger artists, like The Struts and Billy Raffoul. Yeah, we have very little client turnover and very little employee turnover; my employees are like my partners. It comes down to the fact that we run a good operation, for clients and for staff. We do a good job. We run it like a family. With that in mind, is there a limit to how big Vector can be? Well, for a start, I’m a bit of a workaholic, and so’s my partner [Jack Rovner], so we don’t like to limit ourselves in any way. Also, there are a lot of management companies which operate in silos, people stay in their own lane. We work very collaboratively here, everything is done as a team, so it doesn’t feel, I hope, like anyone’s over-burdened. In short, there’s not a set limit. How and why did the Live Nation JV deal you signed a few years back come about? 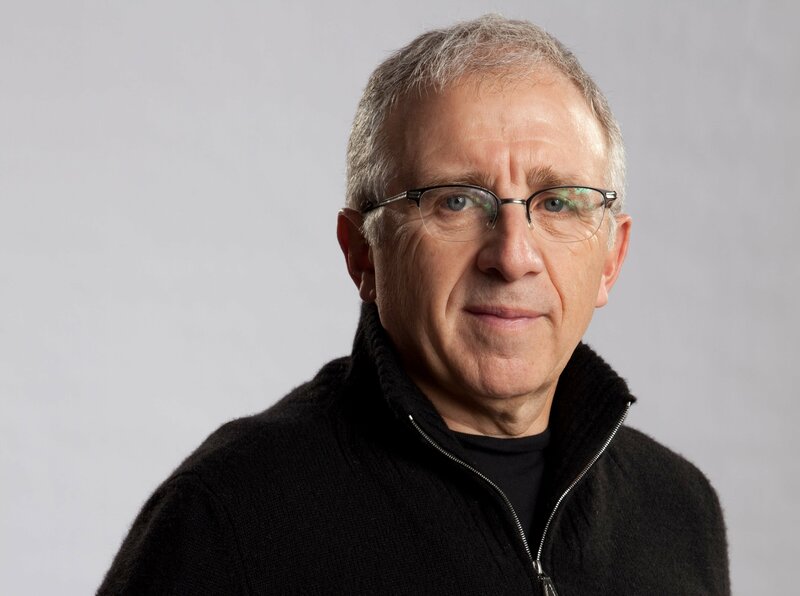 I’ve always been friendly with Irving [Azoff, Front Line boss at LN at the time] and he brought us in. Financially it was a good deal, and there were services they could add that we thought were interesting. It was something we thought we should try and it’s worked out really well. When Irving left, it continued very smoothly. I’m close with Michael Rapino; we work very well with them. It’s not just a financial thing, it’s a collaborative thing. It really is the best of both worlds: they allow us to be extremely independent, but we also collaborate very closely together on occasion. Irving and Michael are both unbelievably smart business people from whom we were only ever going to benefit. How would you describe Irving’s qualities and what did you learn from him? In certain ways, similar things to what I learned from my father: you gotta be really persistent, don’t give up. When you go for something, go after it and don’t let anything stand in the way. That’s kind of the way we run our company and the way you have to be as a manager: if you want something for your client, you have to be really bullish on it. The other thing I learned from Irving is to use your power. That’s why I wanted a bigger company – it’s a penny business that leads to a dollar business, right? And the more leverage you have, the more you can get for your client. My philosophy is, you gotta win the ties – in everything you do. Because it’s a business where there’s a lot of choices and you have to make sure you’re winning. You mentioned Kings of Leon earlier, and they’re one of the biggest touring acts in the world. What do you make of the idea that guitar/rock music is becoming slightly marginalised by the rise of streaming services and the dominance of hip-hop and pop? It’s certainly true that on radio, in terms of numbers of listeners, [rock] isn’t as great as everything else, or as great as it once was. But in terms of a touring format, it’s still amazing. Some of the biggest touring artists in the world are rock artists. It’s always artist-driven though, they have to buy into what you’re doing in terms of the schedule, because you’ve got to work hard. That’s what we did with the Kings. They signed to RCA and then there was a change at the top. Clive Davis came in and I thought, He will never understand this band. But they had music that I loved and they had a story to tell. So literally a week after everybody left the label, I went and got a publicist over in the UK and the Kings were suddenly in the NME every week, and that’s why they broke there first. It was a strategic move, to reach the people we thought would get the story first and get the story best. Nowadays it’s slower growth with rock bands, but there are also different channels of discovery: satellite radio, streaming, the internet, social media, etc. Where there used to be five or six pieces of the music business that you used to have to deal with, there are now five or six hundred parts of the music business that you have to deal with. Do you think a band like Kings of Leon would break now? I think they’re a brilliant band who play brilliant shows and write brilliant songs, so yes, I think they would. Nobody can say for sure, but I truly believe they would. 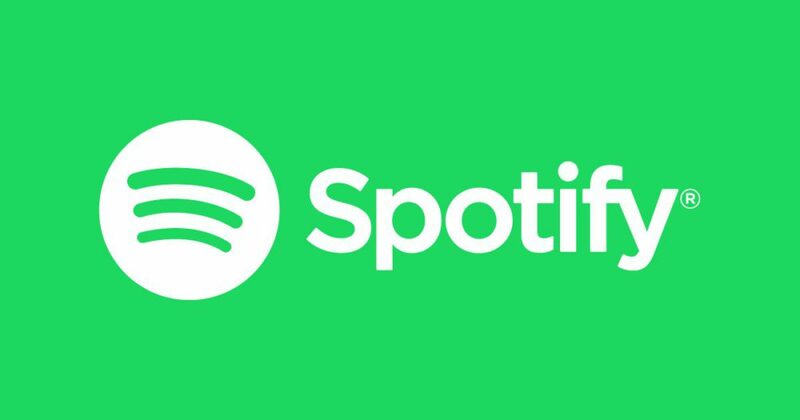 What are your views of the upsides and downsides of streaming’s dominance from a management point of view? Initially, the downside was the financial side: were the artists getting paid fairly? But I think there are some wonderful things about it; discovery is fantastic. I personally get to discover a lot of things I wouldn’t otherwise listen to, through bouncing around. Some music takes a little while to catch on, and it needs somebody who really supports it and pushes it through the times when it could go either way. Then, all of a sudden, it really connects, possibly on a huge scale. Now, there’s so much music out there that if a label doesn’t see something connecting immediately, they may move on, which means you may lose something. It’s also becoming a bit like the 60s, in a sense, where there are a lot of singles. Does that really build the foundation of a career? You have to be careful that you’re building something solid. I’m a big believer in foundations: if a band breaks big on the radio, get them on the road to build that following. Marketing is so important. It’s got to be more than just a hit single. And going back to the financial side? It’s getting better – and it needed to. So that’s a positive. What are the dynamics that are improving the financial side of things and what role does management play in that? The part we play is fighting to get everybody paid better, simple as that. That’s part of our job: talking to different governmental agencies and different companies to make sure that happens. That’s a big role for us and very important for all artists’ futures. And is another growing role for you and all management companies, the development of artists? Is that something that record companies do less of these days? Without a doubt. The manager has to do a lot of that. If you look at our staff, we have a larger social media team than most labels: we offer tour marketing, we have videographers, and additional in-house services. We can build a website out of our office far quicker than a label can get it done. In this day and age you have to be nimble and you have to have a lot of content. It’s really important that we have all of that. We have someone internally who just concentrates on direct to consumer, that’s all they do. 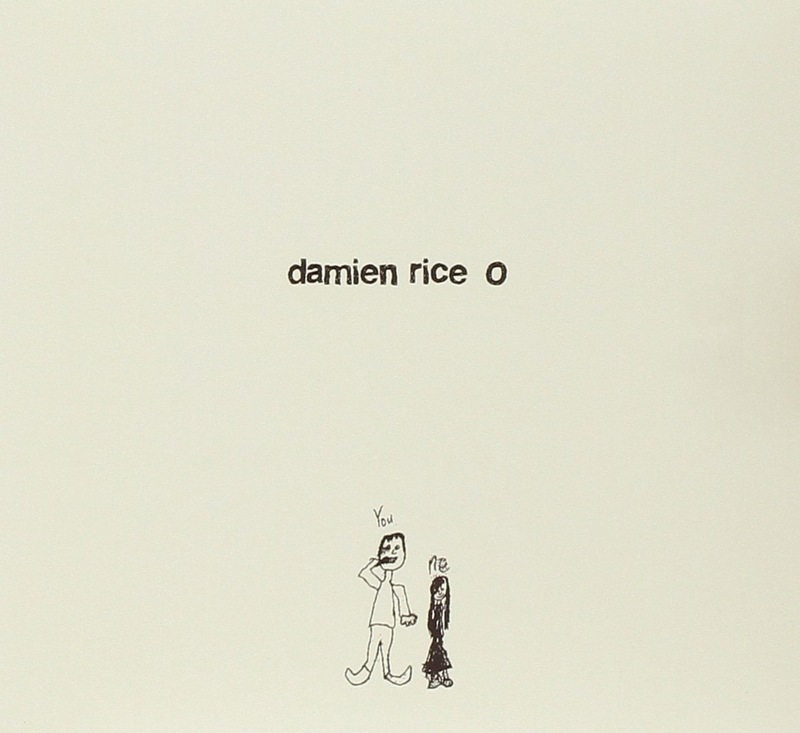 That goes back, I guess, to when you self-released Damien Rice’s O in the US. Is that still something you do, and something you see as more valid than ever? We still self-release, occasionally. We came up with an idea for some of our older artists to do these Acoustic Classics, where an artist like Richard Thompson, for instance, went and cut versions of some of his more well-known songs. We really worked it, we sold it on the road, through his website, and through Pledge, a lot of direct to consumer avenues. We did it inexpensively and he made a lot of money on it – relatively speaking. It also had the side-benefit of waking up a lot of his fanbase. He’d never had a record in the Top 10 in the UK, and the next record that came out [Still, 2015] was a Top 10. Michael McDonald’s another example. When we did the [US telco] MCI commercials, we made sure to get them done so that they looked like videos, and Michael sold a few million records after that. Being a management company with some breadth and depth to it, you have to look at all sorts of ways to get the music out there. Seeing the Kings of Leon play Madison Square Garden for the first time was big, because I grew up going to concerts there. Working with Kid Rock and helping him do stadiums. He’s an amazing marketer. And I love working with some of the iconic artists we work with – and then doubling, tripling and quadrupling their money, whilst at the same time getting them more recognized and respected while widening their audience. Peter Frampton, for example, had never been nominated for a Grammy and he won one with us. We wanted to show that he was an amazing guitar player and that had been overlooked. We came up with a plan that culminated with Frampton’s Guitar Circus. Lyle Lovett winning Grammys after working with him from the very beginning, those were special moments. What have been your most challenging moments? Initially, it was probably being Not The Country Guy in Nashville; I was doing stuff outside that realm. Now, if you look at Nashville, it’s an extremely worldly and diverse city, with people from all over. But when I started, I liked doing stuff that was off centre. I liked doing the rock stuff and I liked working with songwriters who didn’t fit into the mainstream genres, because that’s where my heart was, and that could be kind of tough. How would you describe Jack, your business partner, and how do your personalities and skill sets complement each other? We’re very much yin and yang. Jack is a fantastic marketer, he came from the record side and I came from the legal and touring side. We both hustle, but we both have different ways of doing things. How optimistic are you about the future of the business? I think it’s an exciting time. I think it’s a great time for creativity, on the artistic side and the business side, because people have the tools needed to make it happen. Financially things are also coming around again, so it’s a great time. And what about your personal enthusiasm and passion for the job and the music? Like I said, I’m a workaholic. I love what I do, I love music and I love working hard for our clients. I was in London until Wednesday night [we speak on a Friday]; I’m back and forth to Louisiana tonight for a show; I’m back and forth to Houston for a show tomorrow; and then next week I’m in New York. I think it’s safe to say my passion and appetite are as strong as ever.